Artist Filip Markiewicz’s body of work, Celebration Factory, is a product of a Europe in transformation and marked by deep crises, but also an artistic response to this new socio-political paradigm. The project began in 2017 and has evolved as it has travelled over the past two years. The exhibition’s migration is, in part, an autobiographical mirror for the artist – from the project’s debut at NN Contemporary Art in Northampton, home to a significant Polish diaspora, and the artist’s native Luxembourg and now to the Brexit borderland of Derry. The project will continue to Osnabrück, Germany later in 2019. The Polish philosopher Zygmunt Bauman talks about a “liquid modernity” where the individual is in the centre. Nothing is fixed; the neoliberal world teaches us a new way of conceiving of our existence. The aim of Celebration Factory is to try to represent this aspect of our society through the form of entertainment. The exhibition is not intending to be a kind of political activism, but rather to develop an almost surreal language consolidating different expressions, music and celebration; to find a liquid and artistic language fitting our moving and evolving society. Some of the works comprising the exhibition draw from retro-futurism with a nod to Z series cinema. Political power structures are represented by a mise en scène close to the absurd where many genres are mixed. It is a phenomenon that can also be seen in our media-political society in which we distinguish less and less between celebrity and politics, where a kind of vampirisation of contemporary pop culture takes place. This idea is given form through a series of drawings of Dracula including depictions of Bela Lugosi, the first actor to personify the role and inspiration for post-punk 80s goth anthem Bela Lugosi’s Dead by Bauhaus. The band and Oskar Schlemmer’s Bauhaus School logo are other key reference points to the artist along with imagery collected from popular culture, the news, art history and more. The exhibition sees a factory of drawings with imagery including the detritus from “big nights out” such as Polish Zywiec beer bottles, The Daily Mail’s Brexit front page, Motörhead frontman Lemmy, Albrecht Dürer’s Jesus portrait with Pepsi cans, European hymn composer and Clockwork Orange icon Ludwig van Beethoven with a melting Volkswagen Logo and an Interview by the artist of former polish president Lech Walesa. The soundtracks to these hand-drawn multiples and assemblages are provided by original films exploring various music scenes and Fake Fiction. 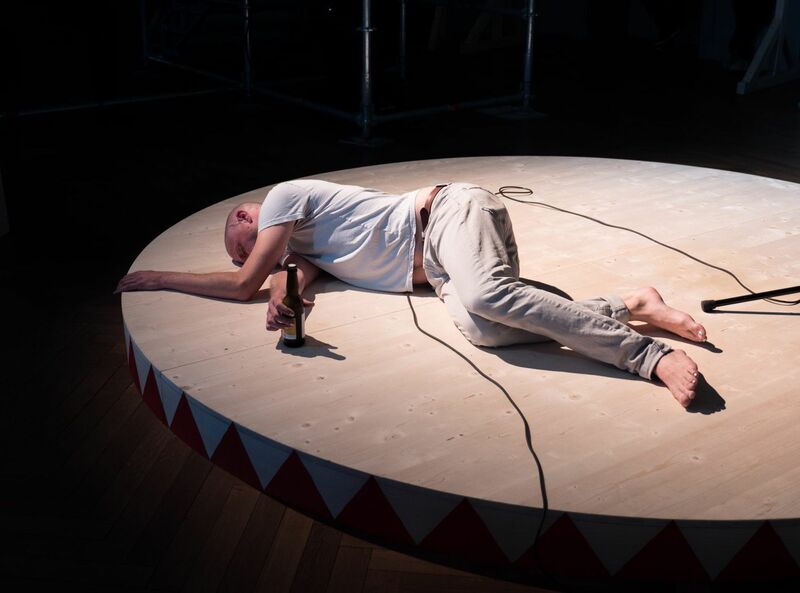 A circular stage at the heart of the installation invites artists and musicians to activate the exhibition with their performances and voices.